This summer, for the fourth year in a row, the SomervilleFarm to School Project ran the Healthy Summer Harvest program at the Capuano school. Every Wednesday for four weeks we visited the school for cooking classes and taste tests with students in the Summer Explore Kindergarten Transition Program. We tried lots of new food and had so much fun with our new friends! 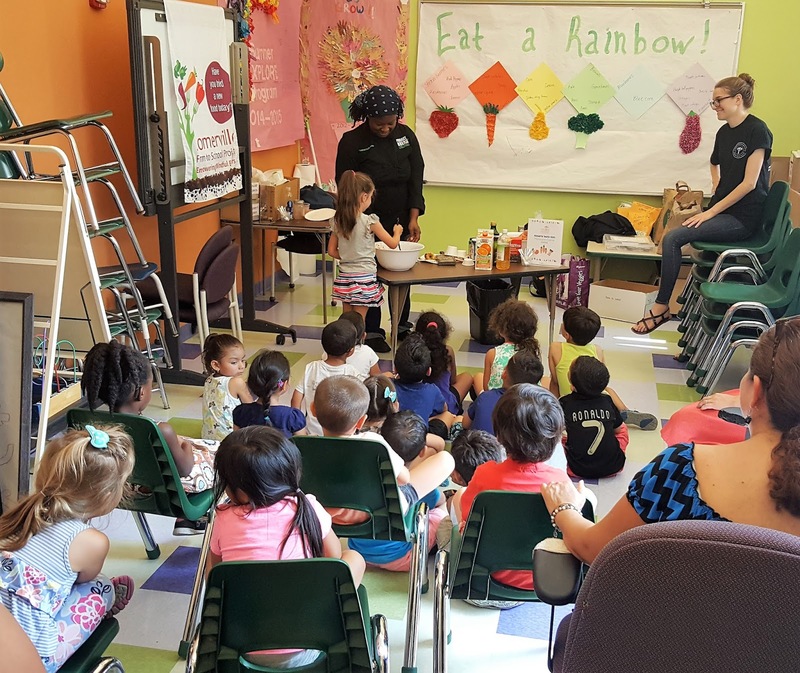 Chef Vanessa from Project Bread led the cooking demonstrations and Hannah, our Farm to School summer intern, chatted with the kids about the foods they were tasting. She was very impressed that some of them already knew that calcium is found in milk! 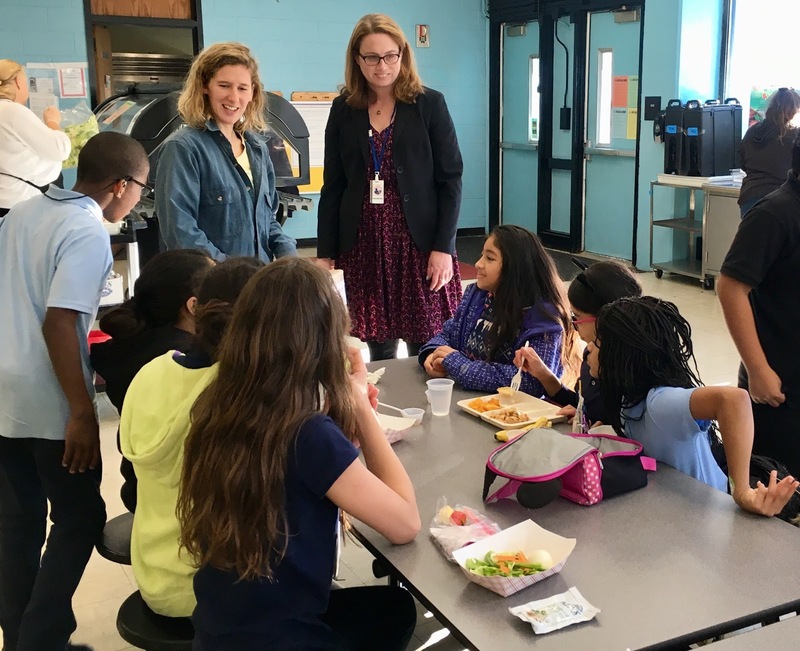 Students were encouraged to try new foods and learned about plants, cooking, and nutrition. 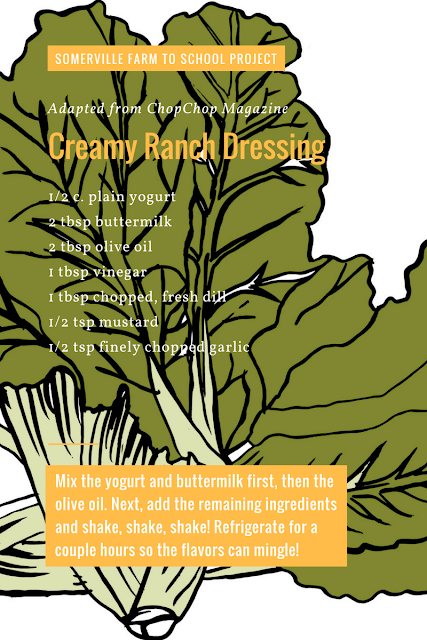 The smoothie was definitely the favorite, but many of the kids ended up liking foods they hadn’t tried or had tried and disliked in the past. One class was particularly enthusiastic about the “Green Monstah” Smoothie. Nearly everyone wanted seconds, and we sadly didn’t have enough for more than one serving per student. After a few minutes of unsuccessfully begging for more, the entire class started chanting “Yummy! Yummy! 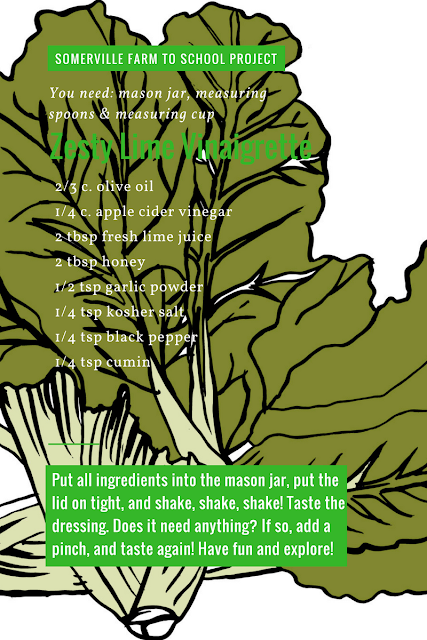 Yummy!” One of their teachers finally got them to stop, only to hear them start a new chant moments later – “Spinach! Spinach! 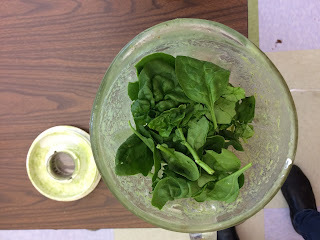 Spinach!” We never expected to hear twenty almost-kindergarteners chanting for more spinach, but we call that a win. 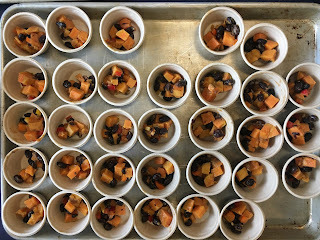 In addition to the weekly taste tests, we also provided a Healthy Summer Harvest curriculum to inspire teachers to bring Farm to School education into their classrooms. Each lesson focused on a different aspect of plants – seeds, plant parts, elements needed for growth, and the plant life cycle. 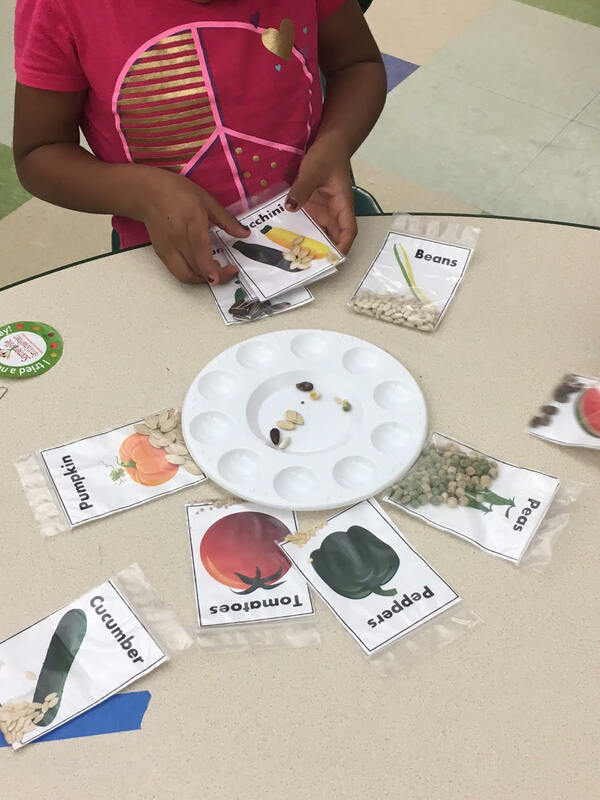 Hannah observed one of classes doing the “Fab Five” activity in week 3, during which students made bracelets representing each of the components necessary to grow a plant – a seed, plus water, sun, air, space, and soil (the “Fab Five”). The kids did a great job listening to their teacher and answering the riddles! When they finished, they each had a fun and colorful bracelet to help them remember their lesson. 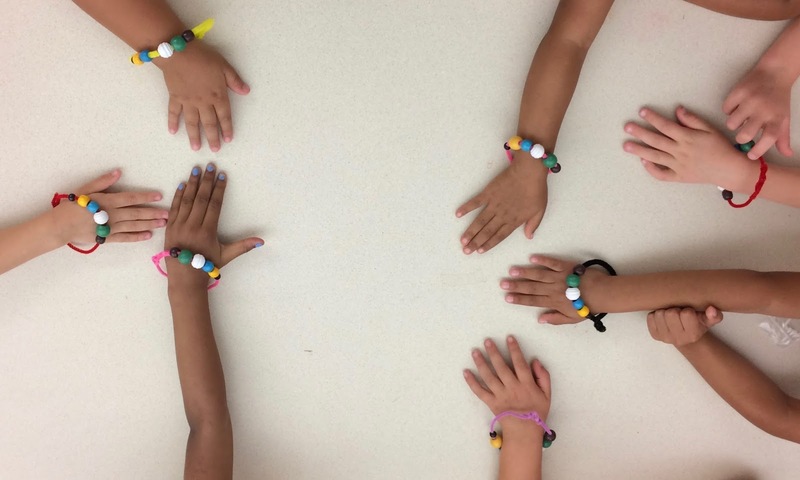 The bracelets were a perfect complement to the bean baby necklaces from Week 2, which the kids were still wearing and keeping warm and well-loved. 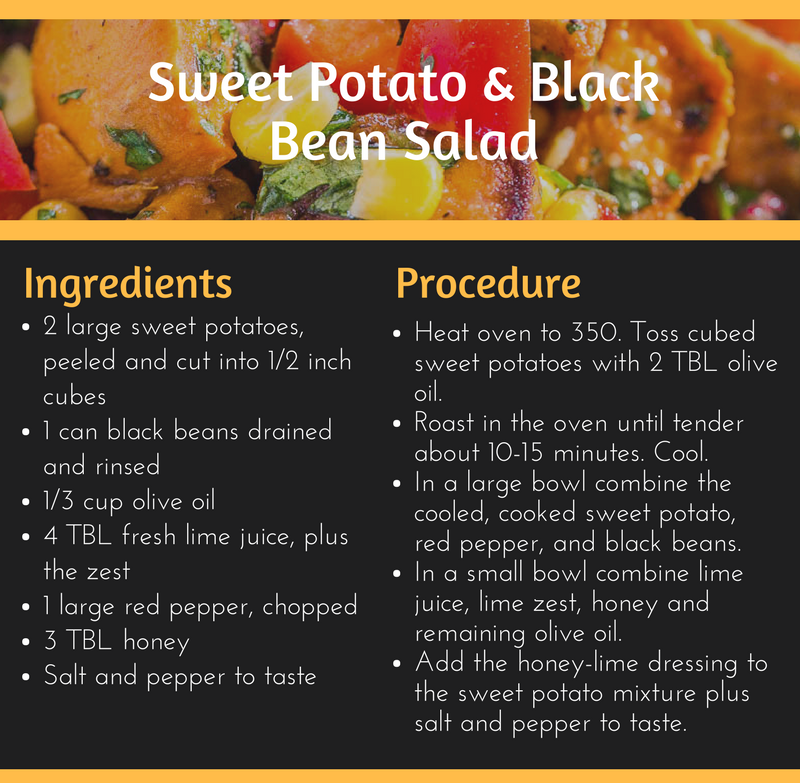 All in all, it has been a fun and busy summer for us here at Somerville Farm to School! We loved spending time with our new friends at the Capuano school, and we’re already thinking about what we can do to make the program even better next year! 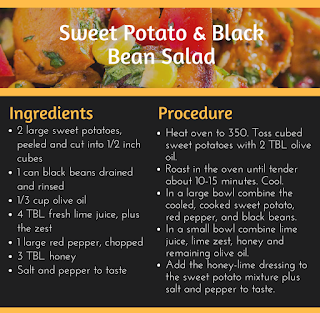 For more photos and recipes, keep your eyes on the blog and be sure to follow us on Instagram @SvilleFood4Kids. It's been a weather roller coaster this year! We've had hot days then cold days, rainy then dry--all proving a challenge for our plantings. Even so, over the past couple of weeks many of the schools were able to harvest and eat fresh veggies right from their gardens! 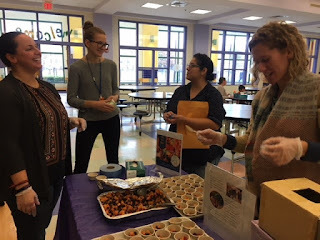 Groundwork Somerville hosted "Salad Days" at Argenziano and East, while parent volunteers at Brown hosted an end of the year Harvest Party with a variety of leafy greens! 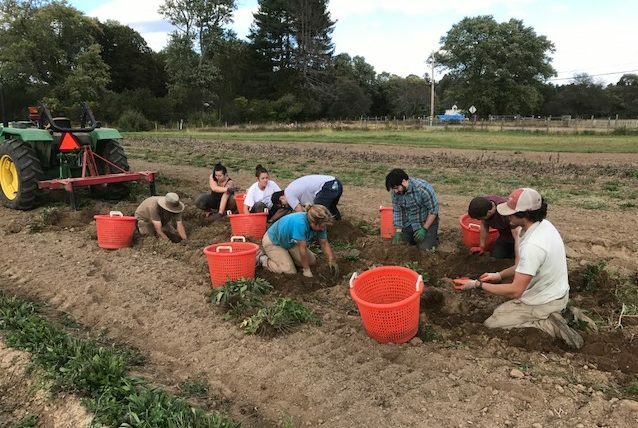 Meanwhile, the Farm to School Project worked with elementary schoolers at Brown, Winter Hill, and Kennedy School to start their gardens. 5th Graders at Kennedy learned how to use basic permaculture principals to plan a garden, and explored ways we can improve and replenish soil. 2nd graders became experts in cherry tomato varieties thanks to Baker Creek Heirloom Seeds who generously donated over 75 different seeds!! 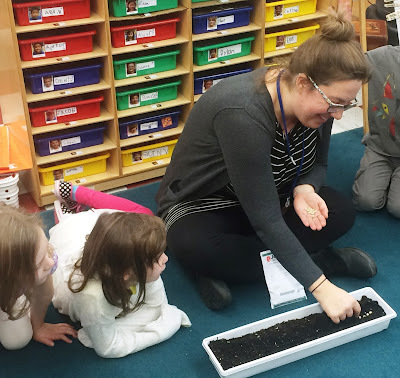 1st graders continued their study of "Sylvia's Spinach" by learning how to plant spinach seeds, and watch them grow into a tasty, healthy snack, just like the character in the book! 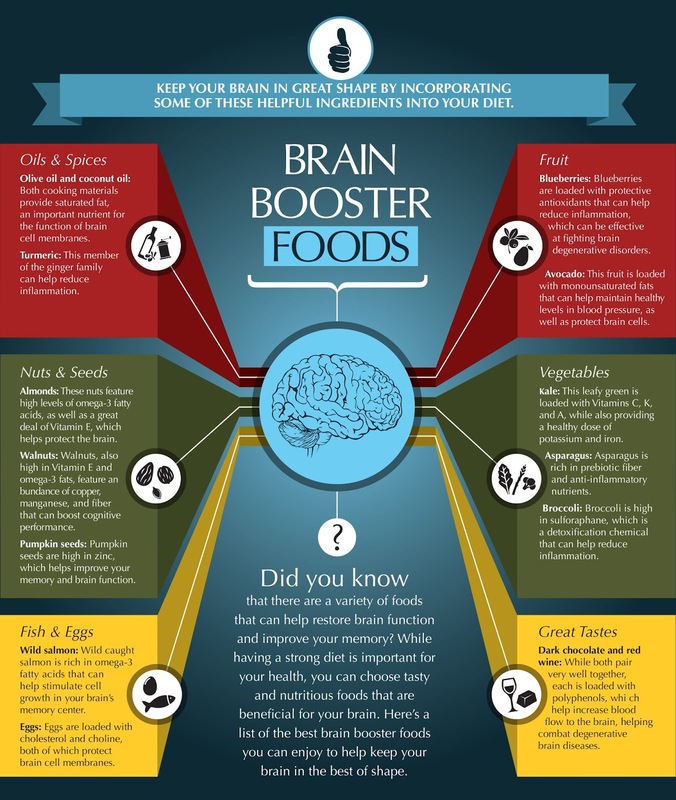 Naturally, as the school year concludes, we reflect on the different groups that make Farm to School possible. 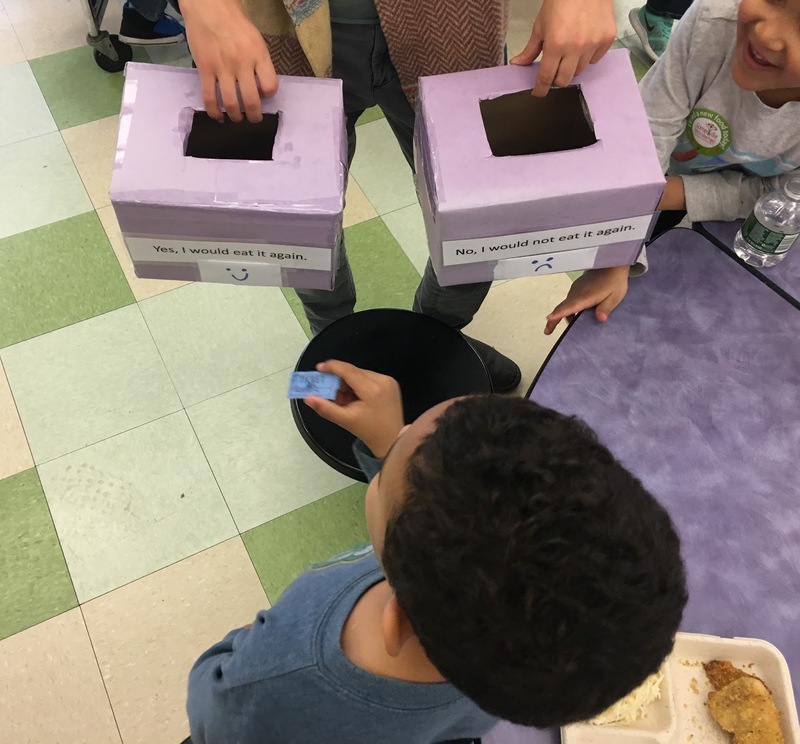 As mentioned above, without Groundwork Somerville and parent volunteers, the number of students we are able to reach with garden & food literacy education would not be so high! Of course, a big thank you to the Food Service staff who served many delicious meals over the year that featured local, fresh ingredients, as well as displayed a beautiful salad bar every day using Drumlin Farms produce. We also say goodbye to our founding director who will be moving on to new experiences in Charlottesville, VA--look at C'ville--you're receiving a true gem in Karyn!! We cannot imagine the project without her, but look forward to finishing the grant strong with initiating new projects, as well as wrapping up original objectives! THANK YOU KARYN FOR YOUR CREATIVITY, VISION, AND PASSION!! GOOD LUCK IN ALL YOUR NEW VENTURES!! Leafy Greens Galore at Brown School!